Can Egypt Do Business like the UAE? ECES builds on the "Doing Business" report and examines the possible scenario if Egypt does business better. - reducing the number of procedural steps from 7 to 3, the required time to get the supply from 64 to 32 days and the cost from 273 percent of income per capita to 24 percent. 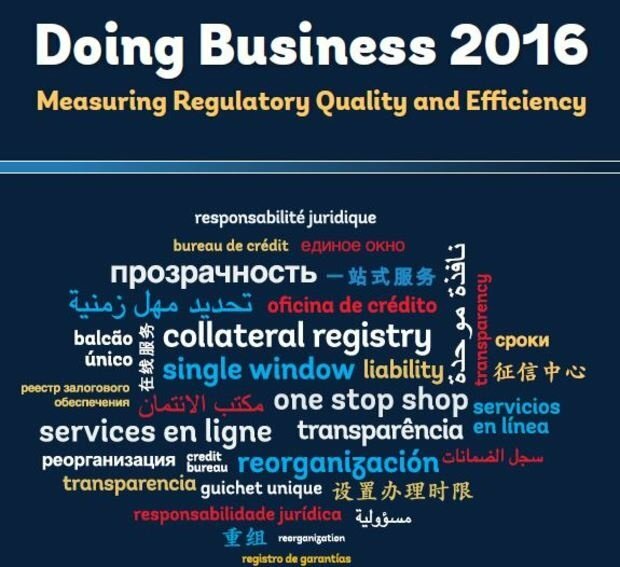 - Egypt’s overall Doing Business ranking advances from 131 to 108. - Egypt’s overall Doing Business rank advances from 131 to 92. *ECES calculations based on Doing Business 2016 data. Can Egypt coordinate its monetary policies? How is Egypt competitive with UAE, Jordan? What if Egypt replaced its General Sales Tax (GST) with the Value Added Tax (VAT)?